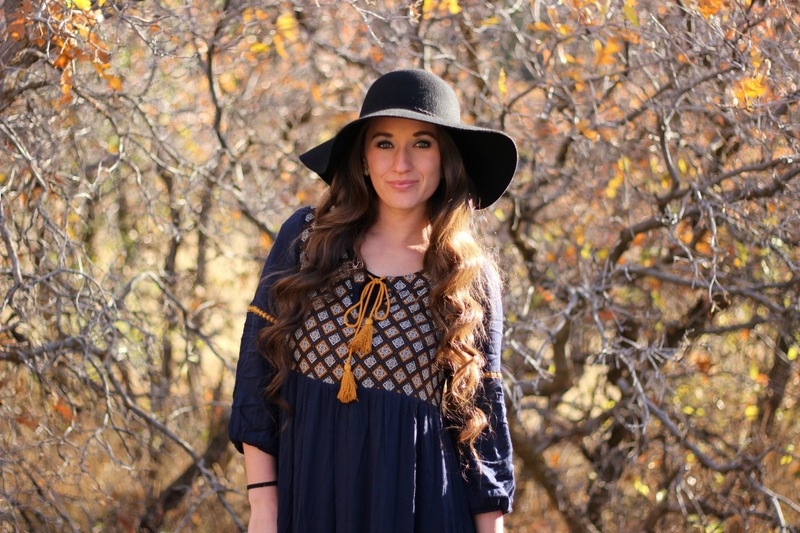 How We Got Oaklyn To Sleep Better | For the Joy of Life. Our sweet Oaklyn girl definitely did not come into this world with any sense of how to sleep. She had her days and nights mixed up for months on months and we were up for hours upon hours of the night with her... often. I personally love my sleep so adjusting to little to no sleep after having Oaklyn, was incredibly difficult for me. I usually felt stressed and hardly had enough energy to make it to 2pm. I dreaded nights because I knew I would be up most all of them. We tried just about everything to get Oaklyn to sleep and it seemed like nothing was working. 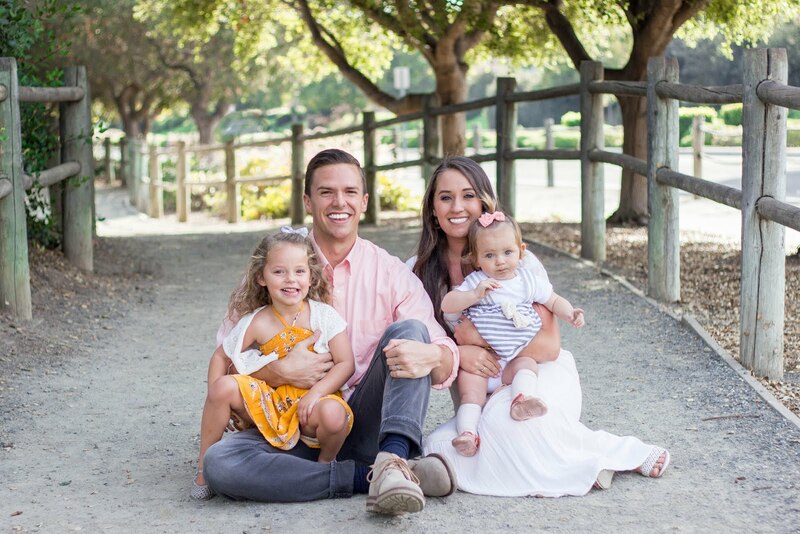 When I went to the pediatrician for her 6 month appointment, the doctor was in complete shock that she was still waking up 3, sometimes 4 times during the night and said it was time to make some changes. I'm happy to report, that we all sleep peacefully these days and unless I stay up too late looking at my phone, we are all very rested during the day! 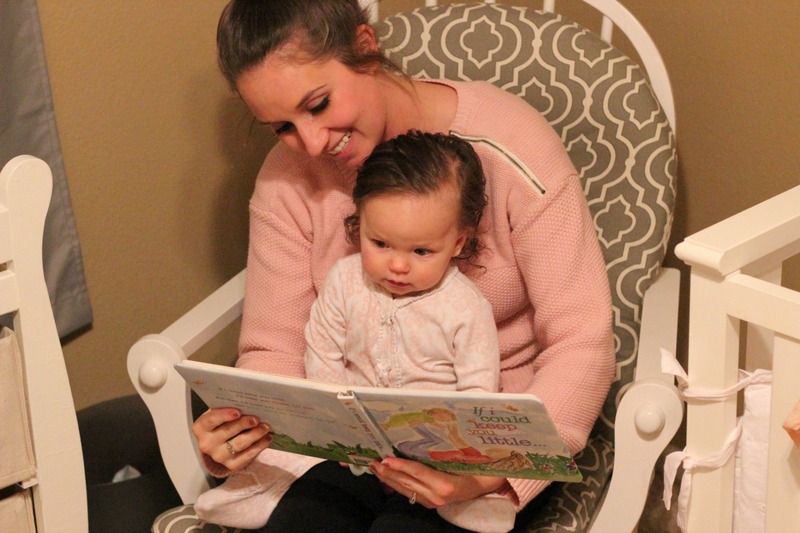 The foundation was starting Oaklyn's night off right with a set bedtime routine. We did bits and pieces of this routine since the day we brought her home from the hospital, but we now make sure we do every single step before laying her down for the night. So what all does this routine involve? 1) Start off with a bath/shower. Oaklyn began to cry every time we put her in the bath around 11 months no mater how many times we changed the temperature. I finally decided to just turn the shower on and see what she did. To my surprise... she loved it! So, Oaklyn now showers by herself, with me sitting next to the shower of course haha! It's the cutest thing and she absolutely loves it! I wash her body with soap about every other night to make sure not to dry out her skin, but she always goes into the warm water to calm her down. 2) After her shower, we bring her into her room to put on a fresh Huggies OverNites diaper and put lotion on. Oaklyn has eczema so we absolutely never skip the lotion and baby massage. 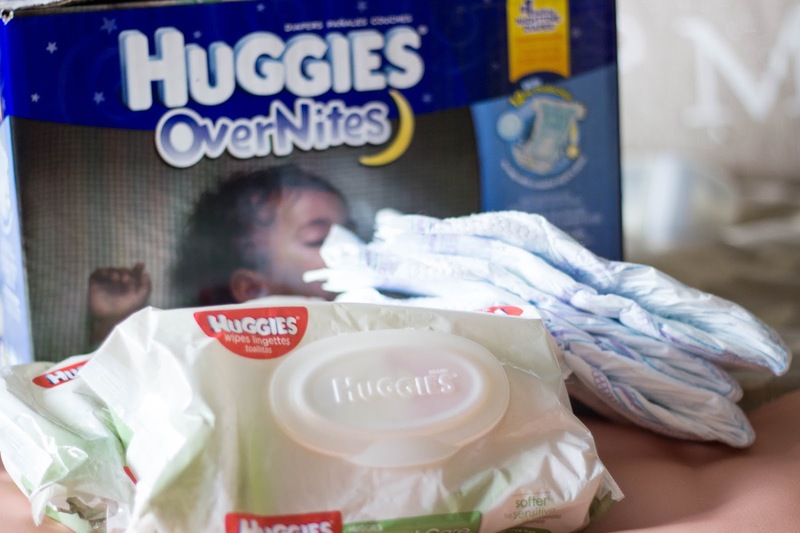 We recently started using Huggies OverNites diapers during the night and they have been a huge lifesaver! I used to go into Oaklyn's room in the morning and her sheets, onesie, and off-brand diaper would be completely soaked. I was constantly washing sheets and she was obviously uncomfortable in her leaking diaper. I knew, often times, she would have slept longer if it weren't for her soggy diaper making her uncomfortable. I'm so glad we found Huggies OverNites because they have been the perfect solution to this problem. 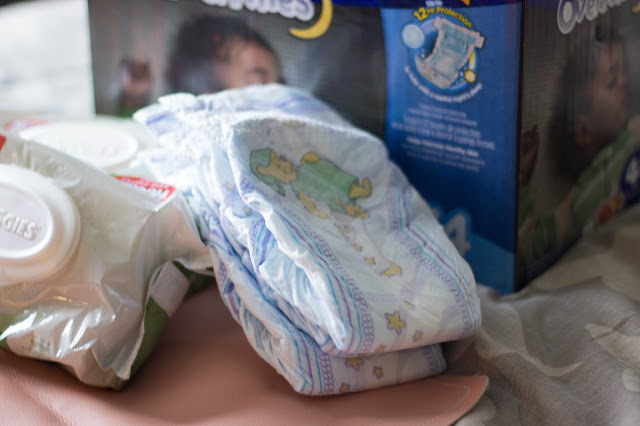 These diapers have insured that our Oaklyn gets a great night's sleep every night. 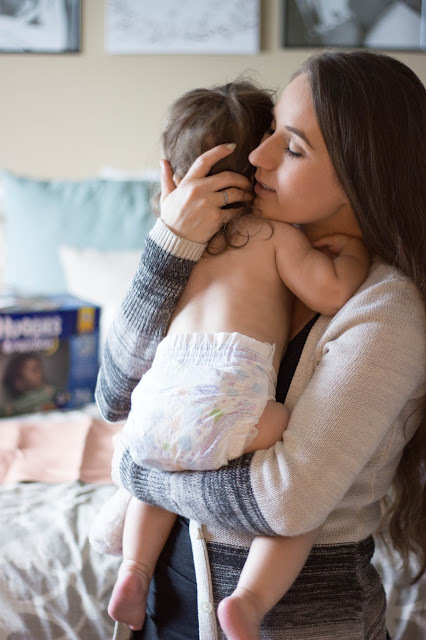 I love knowing that she will be able to stay in a deep sleep all night long and wake up refreshed because of how durable Huggies Overnites Diapers are. 3) We then put her in clean footie pajamas to keep her comfortable and warm throughout the night. I would keep her in footie pajamas for the rest of her life if I could! they are just so snuggly and cute! 4) Oaklyn has tons and tons of hair, so once her jammies are on, we brush her locks. It has been so cute watching her learn how to brush her own hair too since we do this every night. 5) Once all of the grooming is done, we sing and pray with our little girl. I've looked forward to doing this as a family for so long and love that we do it every night. We have sang the same song to Oaklyn since the day she was born and we always make sure to pray for our little family. 6) We then get the sound machine going and turn the lights down as we give her the last bottle of the night. This helps calm her down and ensure a full tummy all night long. I love stroking her hair and her little cheeks as she drinks. 7) Once she is done and hands me the bottle, I trade it in for a pacifier. I snuggle her and let her know I love her, then tell her I'll be back for her in the morning. I then say goodnight, give her one last snuggle and kiss, and lay her down in the crib and she is out for the night. 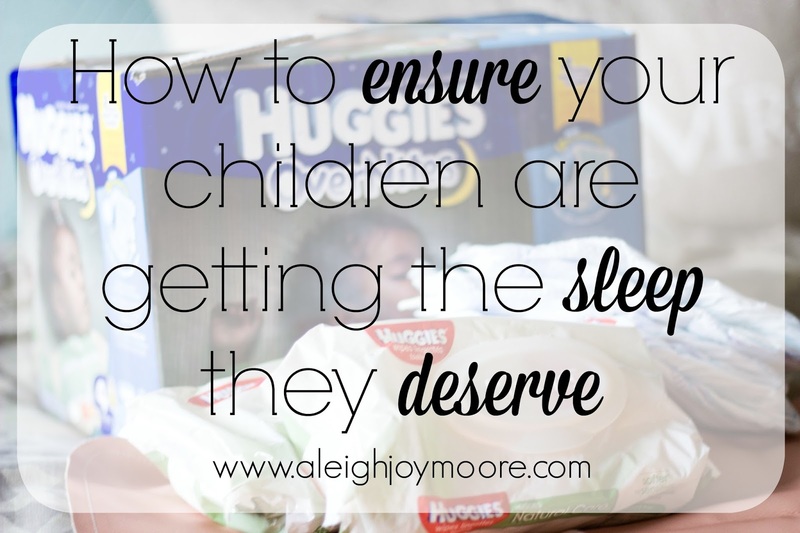 This routine has been so critical in helping Oaklyn sleep. We make sure to never skip a step because it helps her distinguish that it is night time. I love that we do the same thing every night but also keep it simple enough that anyone can do it if we need them to. If your baby is having a hard time sleeping I highly recommend that you start a good night time routine to help calm them down. As mentioned briefly above, once Oaklyn got this routine down and started sleeping better, her diapers were always soaked in the morning! I felt so bad knowing she was trying to sleep with a soggy diaper on and felt even worse that I had to get her up when she wasn't quite ready because her sheets were soaked with pee. I'm so glad we found Huggies OverNites diapers because they have saved us from washing the sheets several times already and have helped Oaklyn sleep longer! Huggies OverNites Diapers are the #1 selling Nighttime diaper and Huggies’ most absorbent diaper to help keep baby’s skin comfortable and dry for a deep sleep and happy day. Huggies has created an amazing diaper with all night leakage protection for a full night’s sleep. These diapers last up to 12 hours! I love that Huggies OverNites diapers have a SnugFit Waistband to keep the diaper in place throughout the night which in turn, creates maximum protection no matter how much our Oaklyn girl tosses and turns. In combination with Huggies OverNites Diapers, we have been loving using Huggies Natural Care Wipes! With these wipes you are guaranteed to give your baby’s delicate skin a soft, sensitive clean. This is Huggies’ simplest formula ever, which is made of 99 percent water for a gentle clean. They have Triple Clean Layers that are gentle on baby’s skin, yet still thick enough to clean the mess... they really do the job! Make sure to check out both the Huggies OverNites Diapers and Huggies Natural Care Wipes, I know you won't be disappointed! Also, if you visit this page you can get $2 off your first pack of Huggies OverNites – for a limited time only– and find other Huggies offers! I would also love to know what your favorite tips and tricks are to get baby to sleep. Let me know what works for you in the comments!